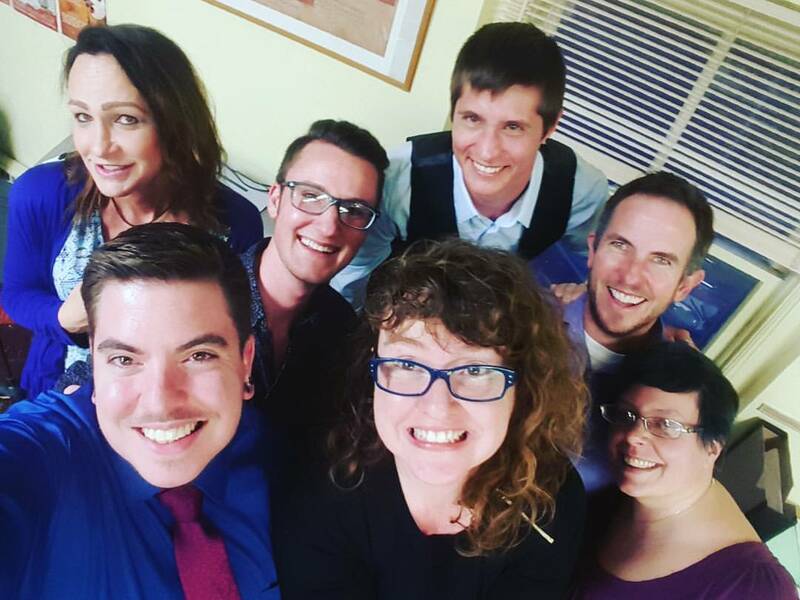 Phoenix, Colorado’s Trans Community Choir arose out of a GALA Festival. The lack of trans representation at Denver 2012 prompted Sam Bullington to start his own trans chorus. However, Phoenix is hardly a typical GALA chorus – and it is not even a typical trans chorus. To begin with, Phoenix is not just for trans folks. We are home for anyone who doesn’t fit neatly into the gender binary and anyone who has a stake in trans issues for whatever reason. 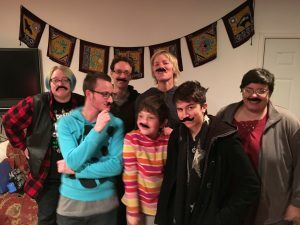 Although many of our members are trans-identified, we also have singers who are parents, partners, friends, and allies, and everyone is welcome. While the personal journeys of trans identified people are beginning to get more attention and support in the mainstream, the gender, sexual and personal journeys of partners, family members, and friends of trans folks are largely invisible—the needs of this diverse community (aptly/unfortunately referred to as SOFFAs) are oftentimes erased, even to members themselves who are frequently so concerned with supporting the transgender person in their lives, they shut out the impact on their own experience. Traditionally, support structures in trans communities are very segregated, with those on the masculine spectrum meeting in one room, those on the feminine spectrum in another room, and partners and family members in yet another room. Phoenix is a rare space where everyone touched by transgender issues can come together as one family, and each aspect of the community can find its experience reflected back. 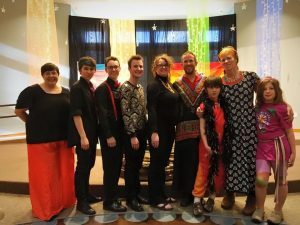 For instance, at GALA 2016 in Denver, Phoenix performed all original songs composed by choir members, including “Walk in this World,” a love song written about being partnered with a trans person. Another aspect of our family-style model is that we are an intergenerational group. We not only have kids in our choir, but we frequently perform for kids. In February, we were invited to perform for 350 children at a local elementary school, in April we performed for a PFLAG gender expansive youth fashion show, and last weekend we performed at a trans youth family camp up in the mountains. 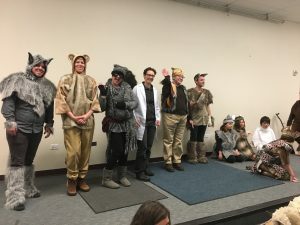 In designing our program, the kids in our choir got to be leaders, and we ended up putting together a story, written by one of the parents in our group, about a transgender Raven in a community of animals (we all dressed like animals) with songs interwoven throughout the story. From the feedback we received from parents, teachers, the principal, and the artwork the kids made for us after our performance, it is clear that the kids find our message—about the importance of being seen for who you are on the inside, not how you are perceived on the outside—to be very welcomed and relevant to their lives. As a collaborative arts collective, we are also not structured like a typical GALA chorus. Leadership is dispersed, decision-making is often collaborative, and we frequently engage in the creative process together, workshopping songs and performance concepts in an invigorating synergy—even with our audience! At the trans youth family camp, we recruited campers for key roles in Raven’s True Self and taught all the songs beforehand so the audience could perform the story with us. Numerous parents came over afterward to share how delighted they were by how interactive our program was. We not only collaborate within our group, but we have strong collaborative relationships with other local groups as well. After being invited to share a concert on authenticity last April with Resonance Women’s Chorus, this past April we had a collaborative concert with Mosaic Gospel Choir and we are currently preparing for a December collaborative concert with the Denver Gay Men’s Chorus. Community engagement and social justice are core to our mission and we perform frequently at community events, accumulating 24 performances in our short 2 years together. However, our commitment to social justice does not begin and end with trans issues, nor even queer issues. We are as strongly committed to racial justice—aligning ourselves particularly with Black Lives Matter—as well as gender justice more broadly, regularly singing at Take Back the Night marches, and in May we co-organized a flash mob for peace at an outdoor mall in Boulder. In our collaborative concert with Mosaic, we made the potentially controversial decision to include Janelle Monet’s “Hell You Talmbout” (https://www.youtube.com/watch?v=fumaCsQ9wKw) in our programming choices, a song drawn from the Black Lives Matter movement, which prompted a fruitful season-long exploration of issues of cultural appropriation and the best ways for largely white choirs to engage with racial justice. For our audience, we created an altar, handouts, and a photo/story display to educate folks about the individuals named in the song (we added several trans women of color who have been killed so far in 2017) and, together with SURJ (Showing Up for Racial Justice, a national network organizing white people working for racial justice), we held a community race dialogue afterwards that was well attended. We plan to carry our commitment to racial justice into our fall programming, revisiting the individuals named in “Hell You Talmbout” in a photo slide show set to another song, and the director and accompanist for Phoenix are currently working on a composition about white fear/white violence so that white communities are not always reliant on communities of color to be able to speak about racial justice. Not exactly a traditional chorus, Phoenix is more of a safe space to grow and take risks of self-exploration—whether around gender and identity, creativity and voice, or leadership and community building. We are builders of the new world, a sanctuary for anyone who has felt marginalized or unwelcome. We see trans people as leaders in the collective transformation we are currently experiencing in society and share our vision for that new world in our music. Sam Bullington is a college professor, shamanic counselor and healer, and the founder and artistic director of Phoenix, Colorado's Trans Community Choir.